Liza Hassler was an outlier coming into this world. She was born with a rare craniofacial condition that affects only one in 300,000 live births. Liza’s journey began in Chicago, where she received treatment and underwent numerous surgeries. After the family moved to Minnesota, Liza had an extensive surgery in Texas. She had complications that extended her recovery in 2011. 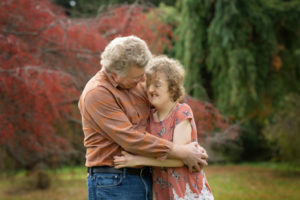 Pete and Mary decided it was time to pursue answers at Mayo Clinic. In August 2016, Liza was diagnosed with Rhabdomyosarcoma, an aggressive and highly malignant form of cancer that starts in the muscle-forming tissue. The diagnosis meant six weeks of proton beam radiation. Mayo Clinic is one of only 27 operational proton therapy centers in the United States, bringing patients from all across the country for its services. In 2017, 33 families that stayed at the Ronald McDonald House of Rochester, Minnesota did so for proton beam therapy. And that is what first brought the Hassler family to this House. The Hassler family has stayed at the House for more than six weeks in the fall of 2016 and the summer of 2018. Each stay included 28 sessions of proton beam radiation. The second stay ended with Liza battling pneumonia, which meant an extra week in Rochester. “This House is special; it’s unique,” said Mary. “We have stayed at other Ronald McDonald Houses, but they don’t stand out like this one does. The people here are genuinely interested in my family and care about Liza. They love us. And we love them. The familiarity of the House is perhaps the most important thing for Liza. For Mary, the community has changed her life. From other mothers and families to staff and volunteers, it’s the people inside that make the House a home. 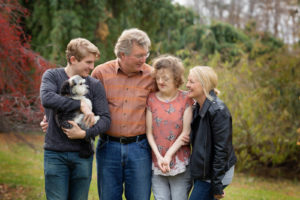 “The relationships I have with people while staying at the House are incredible,” said Mary. “Mothering alongside other really strong moms has been such a blessing. These moms are so different from me, but they are all so beautiful in how they care for their children. That’s what stands out about the House. That’s what is really cool about this community. Mary describes the House as a place for families to process their emotion, be together and support each other. She recalls spending time with a mother and daughter who remained positive in a life-threatening situation. Now, Mary aspires to be positive when she has similar struggles and challenging emotions. 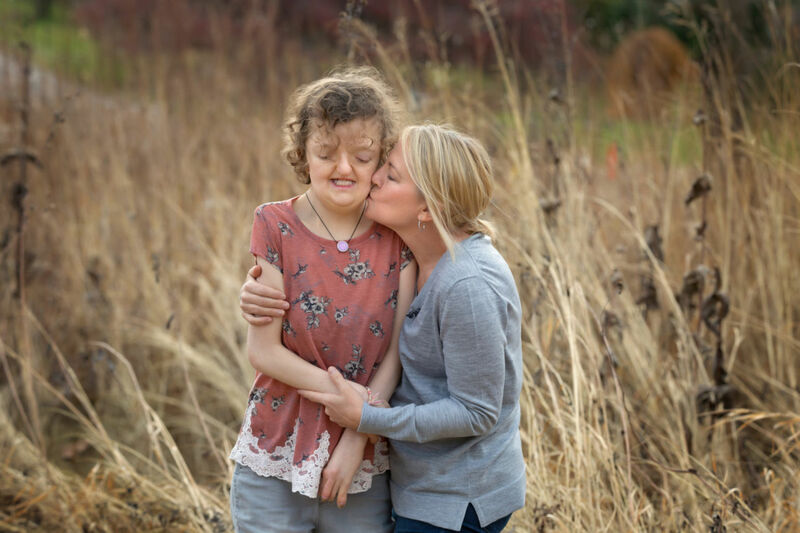 Liza has grown up at the Ronald McDonald House of Rochester, both physically and emotionally. Mary remembers a time when Liza would not engage with other kids because she looks different, but House activities have given her courage. She interacts with other kids. She is included. She has connections. Liza continues to fight and do as well as she is doing because of the care and treatment she is receiving at Mayo. Proton beam therapy requires the collective efforts of nurses, doctors, anesthesiologists, oncologists and others. Mary thanks Dr. Carola Arndt, nurses Jill and Emily, nurse practitioner Sharon, Dr. Nadia Laack and Child Life specialist Randy for their work with Liza. And between all the doctor appointments and treatments, Liza is enjoying spending time with her family and doing normal activities. This summer, she began riding her bike again. Liza’s brother, Joe, learned how to coach her and worked with her for more than two months, enabling Liza to ride her bike independently. When cancer struck, she lost the strength to ride. Liza faces a long road, filled with challenges and obstacles. But she will face that road with her family—Mary and Pete, Joe and her sister, Claire—by her side. And she will face that road one pedal at a time.